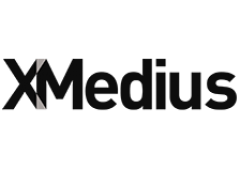 Global leader in secure exchange of documents, XMedius recorded growth of 289 % in revenues and 520% in EBITDA over the last decade, becoming one of the top three companies worldwide in the field of fax over IP ( FoIP) , of which it is a pioneer . Supported by a strong network of over 850 resellers in the field of telecommunications, information technology and office equipment , XMedius (formerly Sagemcom Canada) presence in America , Europe and Asia. The company has 2,300 clients in a wide range of sectors and generating no less than 3.2 billion facsimile (fax) annually. It more than doubled its workforce since 2006, now employing more than 90 people in America and Europe , including 60 in Montreal headquarters . Supported by a strong network of over 850 resellers in the field of telecommunications, information technology and office equipment , XMedius (formerly Sagemcom Canada) is present in America , Europe and Asia. The company has 2,300 clients in a wide range of sectors and generating no less than 3.2 billion facsimile (fax) annually. It has more than doubled its workforce since 2006, now employing more than 90 people in America and Europe , including 60 in Montreal headquarters . Founded in 1993, XMedius has marketed its fax software IP XMediusFAX® in 2001. Fully designed in Montreal XMedius, this solution is certified by manufacturers (Cisco, Avaya, Alcatel- Lucent, etc.) and leading suppliers (Xerox , Ricoh, etc.) and finally, Microsoft . XMediusFAX is evolving. In 2013, a cloud-based transaction platform has been marketed, allowing customers to take advantage of the same features as the software version, but without capital investment and maintenance free. In addition, an innovative application for iPhone and iPad was launched in 2015 and another version of the solution is under development and will be launched in 2016. To continue to offer high quality services to its customers and maintain its position of World leader, the direction will invest $ 2.5 million CDN in R-D over the next three years. XMedius complies with stringent security demands placed on its public sector clients: health, finance, education, etc. To this end , the company holds several certifications on confidentiality and protection of documents ( ISO 27001, HIPAA , DITSCAP , GLB ). In addition, the fax is still the safest way to exchange information. Encrypted communication point to point, the fax makes it impossible to intercept the data. It is also a legal way of confirmation of authenticity and ensures complete traceability of the information transmitted. Another notable advantage , XMediusFAX eliminates physical fax machines, phone lines, paper and ink. By integrating their fax their IP environment (or to an MFP ), customers benefit from substantial savings and an excellent return on their investment while contributing to environmental protection . The SPOTLIGHT ON SMEs Contest is powered by the Quebec Technology Association (AQT ) in collaboration with the Business Development Bank (BDC ) , Videotron Business Services , with the support of BCF Business Lawyers. It aims to recognize the success of SMEs in the ICT sector . The SME of the month is a company that stands out for its success in the markets, with products, services, approaches and innovative marketing methods . The selection of SME of the month will be made by a jury of senior representatives of business and ICT. At the end of the current year , SMEs of the month will be finalists in Spotlight on SMEs award that will be presented in October as part of the Big Bang during Small Business Week . The deadline for submitting applications is March 31 . To learn more , visit this page.